From the classic taste we all know to the new innovative spicy or crunchy options, Mac and Cheese is taking New York City by storm. 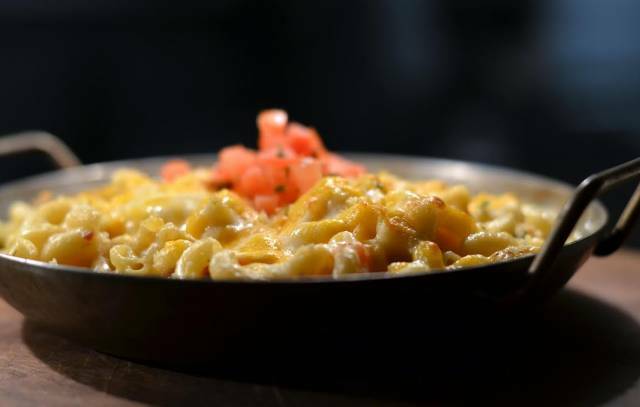 We’ve lined up some of the top spots to go get a nice, warm bowl of Mac & Cheese this winter. 157 E 33rd St. and 345 E 12th St.
Sarita’s Macaroni & Cheese offers a variety of different Macs in four different sizes, from the snack-sized "Nosh" to the good-for-a-group "Partay!". 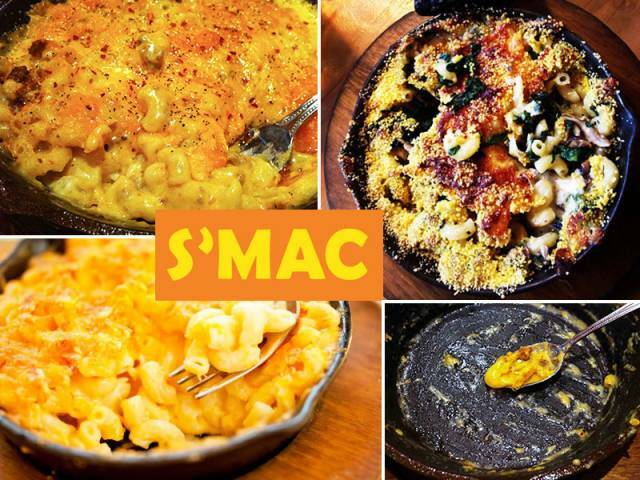 Whether you are craving some rich four-cheese macaroni or want to spice up your lunch with Cajun or Indian flavors, S’Mac has a mac-n-cheese for everyone! 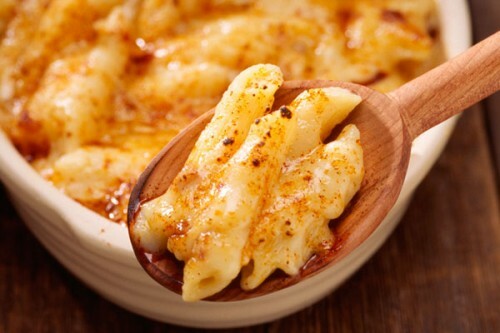 Though famous for their chocolate, Max Brenner doesn't skimp when it comes to their mac-n-cheese. The Really-Cheesy Really-Crunchy Mac & Cheese ($15.99) features a special five-cheese blend, tomatoes, & smoked applewood bacon. You don’t have to travel far for a good bowl of mac-n-cheese. Au Bon Pain has locations throughout the city, so if you need a homemade batch of gooey goodness quick it's the place to go. 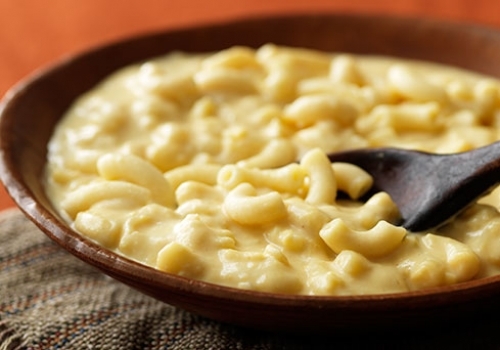 While the chain's mac-n-cheese may not be not high end or fancy with toppings, it does go back to the classic taste we all love. 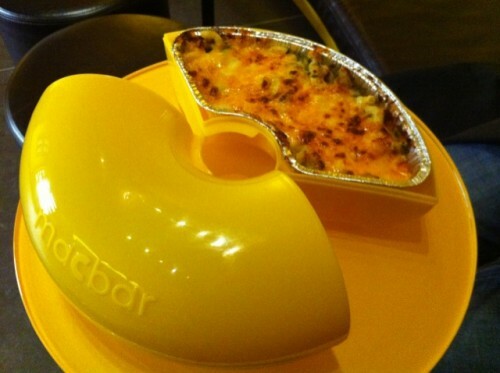 Even the yellow painted walls at MacBar evoke the restaurant's love for mac-n-cheese. Dig into one of twelve different mac-n-cheese options, including the classic ($5.99), mushrooms, and even lobster. 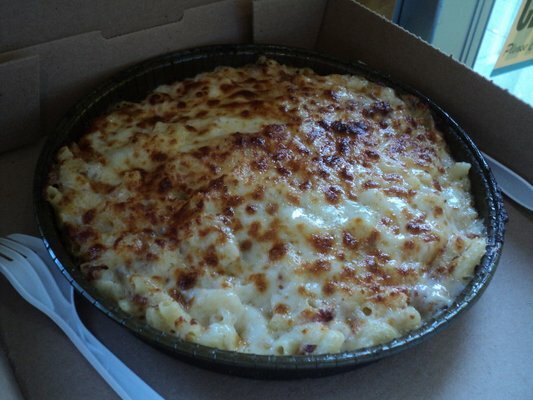 Not all of the best mac-n-cheese can be found in Manhattan -- some of it is in the Bronx. Take a trip up to 705 Melrose Avenue to get a wide array of options for your mac, like Mexican, burger-style, and chicken with buffalo sauce. You’re in for a real treat if you step into this Flatiron District gem; Beecher’s offers a selection of handmade cheeses as well as the Worlds Best Mac and Cheese. The dish is made with their signature Flagship and Just Jack cheeses, a hint of spice, and penne pasta. Don’t think that it’s just a classic Mac & Cheese dish though; Beecher’s offers an assortment of add-ons for your own twist.